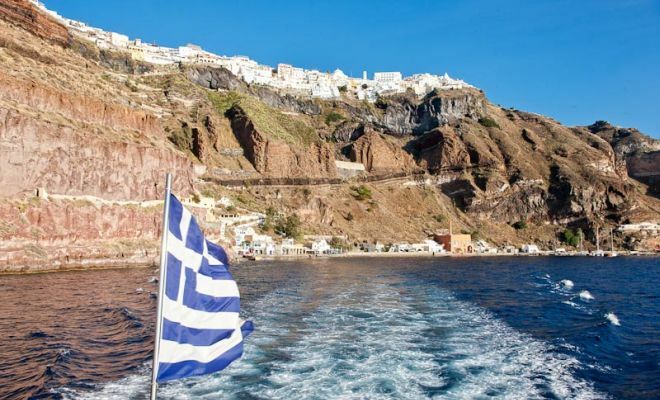 Board our authentic Brigantine "Thalassa" in the afternoon at the picturesque old port of Fira and depart to the small port of Nea Kameni volcano for a magical sunset cruise. 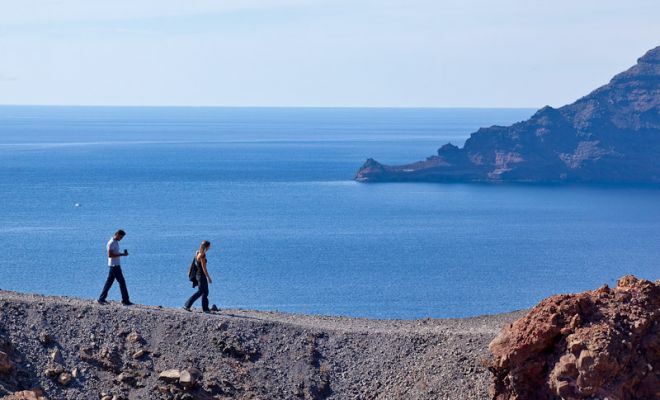 Upon arrival at the volcano our guide leads you up to explore the rim of the volcanic crater from where most of the volcanic layers are visible on the impressive steep inner walls of the caldera. Leaving the volcano, our sailing boat heads for the "Hot Springs" and their thermal sulfurous waters, where you can let yourself indulge in the natural-warm and soothing sea. 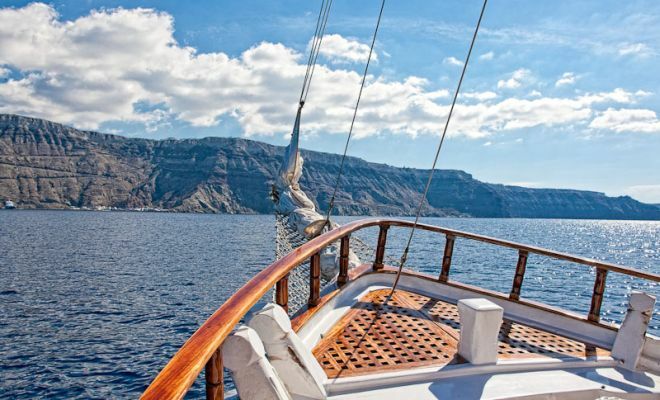 During the remainder of our voyage, our sailing boat docks close to Thirassia, the second largest of the complex of islands forming the caldera, giving you the opportunity to escape into its crystal clear and refreshing blue waters. In the meantime the crew prepares a delicious traditional buffet of Greek "meze" (appetizers) and you’ll enjoy the renowned white local wine. 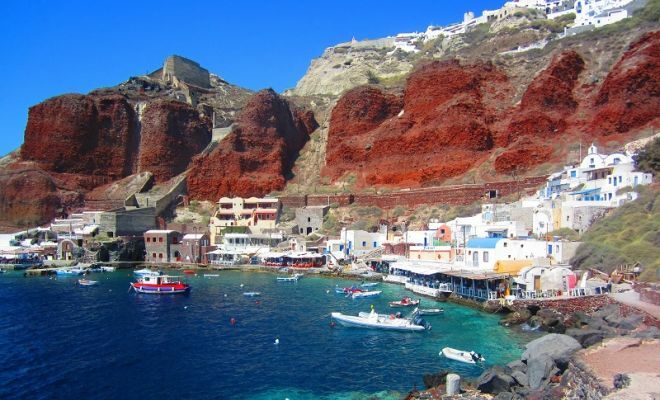 Next we depart for the northern tip of Santorini and the town of Oia with its two small fisherman ports Ammoudi and Armeni. From our sailing boat we have a unique vantage point for viewing and photographing the lovely traditional settlement of Oia. Here you can relax and enjoy the beautiful scenery. 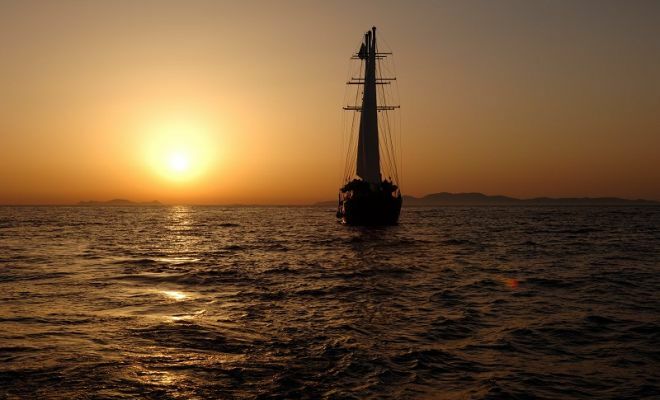 At this point we set sails and head back to Fira enjoying live saxophone music as the sun magically sets into the sea. *During the whole cruise and especially all the way up the volcano there is a guide informing you of the island's history. 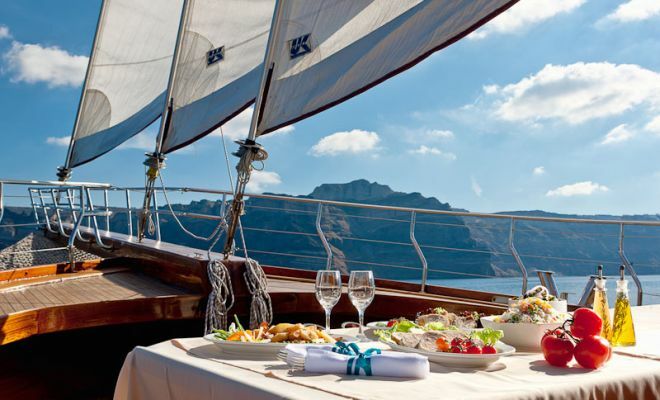 Prices include the wine and the Greek appetizers the captain offers you as well as the entrance fee to the volcano.